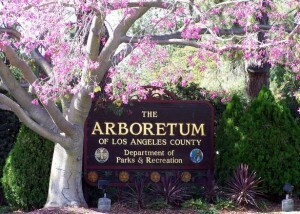 *There is a $9 admission entrance fee for the Arboretum. Join APA Los Angeles for a special private guided walking tour of the Los Angeles Arboretum led by botanical consultant Frank McDonough. Spread out over 127 acres, the Los Angeles County Arboretum and Botanical Gardens contains over 12,000 types of gorgeous plants. The garden has been used as a backdrop for films and television shows since the 1930s. Spring is an ideal time to visit: The weather is pleasant and there are many flowering plants. Highlights of the 90-minute tour will include learning about California native plants that are ideal for planting during the multi-year drought. The visit concludes at Crescent Farm, a lawn turned landscape devoted to water conservation and sustainable food production. Afterwards, feel free to explore the gardens until the grounds close at 4:30 p.m. Bring your walking shoes and a hat! 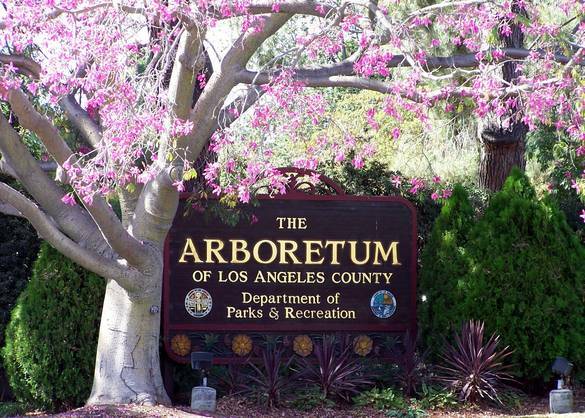 Directions: The Arboretum is located just south of I-210, Foothill Freeway at 301 North Baldwin Avenue, Arcadia, across from the Santa Anita Race Track. Parking: Free. The main lot is adjacent to the entrance of the garden. You can use public transit to get to the Arboretum. Just take a Metro bus or train to Union Station, and then transfer to the Gold Line and get off at the Sierra Madre Villa station. From there you can transfer to Foothill Transit buses or Metro buses that will take you within a short walking distance to the Arboretum.